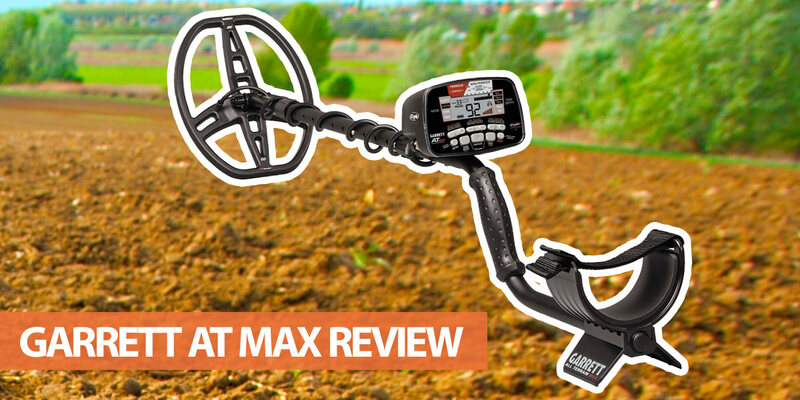 Garrett AT Max Metal Detector Review (2019) - Is It Worth the Money? The AT MAX is the latest detector in Garrett's popular "All-Terrain" series. How does it perform in the field? And is it really an upgrade to the excellent AT Pro? Read our AT MAX review to find out. The AT MAX is Garrett's follow-up to the AT Pro. It's not designed to replace the Pro, but adds several new features for detectorists who want more from their machine - and don't mind spending extra. Features of the AT MAX include Z-lynk wireless audio, a true all-metal mode, improved electronics for greater depth, Iron Audio, Digital Target ID and both automatic and manual ground balance. It's also designed to be simple to use, without limiting people who want more control over its performance. Garrett claims these features make the MAX their "most versatile and advanced all-terrain VLF metal detector." How does the AT MAX compare with other detectors in its price bracket though? And is it really an upgrade to the AT Pro? Keep reading out review to find out. Is the AT MAX Suitable for Beginners? Can I Hunt for Gold Nuggets? The AT MAX has a similar design to the AT Pro. It's a VLF detector that's waterproof (more on that in a moment), weighs just 3.03lbs, is powered by four AA batteries and has a built-in pinpointing mode. As the "All-Terrain" name suggests, the MAX is a versatile metal detector that's designed for serious hunting. It's suitable for almost any environment and offers great depth for both land and shallow-water detecting. It's also a hardy machine. Metal detectors can take a beating during transit and hunting on rough terrain, but the MAX can withstand almost everything you can throw at it. What can you hunt with the AT Max though? Pretty much everything, including relics, jewelry and coins. Like the AT Pro, the MAX comes with Garrett's 8.5"x11" PROformance DD searchcoil. It's a solid coil that provides great depth and target separation - especially for a stock coil. There's also the option of buying more specialised coils, including a 9"x12" or a sniper coil. It's worth pointing out that this is not a gold detector though. While Garrett might claim you can hunt for gold with it, the 13.6kHz frequency means it's never going to be a good option for real gold prospecting. The AT MAX is fully submersible down to 10 feet (~3 metres). This makes it a great option for hunting in streams, shorelines and anywhere else with shallow water - although you'll need to buy separate wired headphones for underwater hunting. It's also weatherproof and suitable for hunting in dusty, dry environments. Tip: For hunting deeper than 10 feet, check out my page on the best underwater detectors. The Garrett AT Max has a 13.6kHz operating frequency. This, combined with the high-quality components and circuitry, makes it brilliant for detecting a wide range of targets, including brass relics, coins and jewellery. Frequency is an area that the AT MAX differs from the Pro. The Pro's 15kHz operating frequency is slightly higher than the MAX, which (in theory) means that the MAX should have deeper penetration, but marginally less target separation. The 13.6kHz frequency is still higher than the average VLF detector though. This means the MAX is great at both detecting and separating small targets. For maximum sensitivity and depth, there's a true all-metal mode. This is a near-essential feature for serious detecting that's not included with the AT Pro, so is one of the main advantages of the MAX. Garrett also claims the MAX's internal electronics have been enhanced to increase depth penetration. It's worth noting that the MAX is not a multi-frequency metal detector. The frequency can be subtly adjusted to remove interference from other detectors and power lines, but can't be significantly changed. This is normal for a VLF detector - but I wanted to clear up any confusion about the frequency being "adjustable." In terms of performance, the AT MAX really does provide excellent depth. If you're upgrading, it's worth re-hunting previous locations to see what your old detector might have missed. The LCD panel shows a large numerical target ID. Like many Garrett detectors, this ranges from 0-99 to provide a visual representation of the target's composition. This is a standard feature on most mid-range detectors. The AT MAX is quick to show a target ID though and is highly accurate - as long as it has the correct ground balance for the environment. With 44 iron discrimination segments, the AT MAX has a slightly higher resolution than the AT PRO (which has 40 segments). In practice, this doesn't make a huge difference, but is a nice bonus. In case you've never used iron discrimination before, adjusting this setting allows you to change which types of ferrous targets are ignored depending on what you're hoping to find. As an example, a higher iron discrimination settings means you'll dig fewer junk targets such as nails. Higher values may cause you to miss real targets though, such as certain relics. Junk with higher conductivity, such as pull tabs or foil, may also slip through. To help with this, the AT MAX includes notch discrimination. Above the IRON region, there are a number of notches that can either be knocked out or selected. Aside from the CUSTOM mode, which is allows you to set your own search pattern, there's also a COIN mode. This is effectively a pre-notched setting that removes iron, foil and pull-tabs, making it an easy choice for beginners. Another useful feature is the "ELIMINATION" button. Hold it down when hovering over an item you think is trash to remove it from the search pattern. Detecting using audio is often quicker than digital target IDs. The MAX includes Garrett's proportional pulse width modulation audio, that provides more target information for you to use when deciding whether to dig. There's also the option of switching on Iron Audio to distinguish between a true target and flat iron object. The MAX filters iron targets by default, so you don't hear them when the discrimination is turned up. This is usually a good thing - especially if there's a lot of trash around. When you switch on Iron Audio, however, iron targets trigger a distinct tone. The additional grunting noise helps distinguish whether an item is an interesting target, or whether it's a tricky iron target that only appears to be something worth digging. It's also great that Garrett has built Iron Audio into the All-Metal mode too. This allows you to identify discriminated iron objects even when hunting in All-Metal. A new feature is the option to use Z-Lynk integrated wireless technology with wireless headphones. This suffers from less interference and faster data transfer than Bluetooth, so you get the benefits of cordless audio without the downsides. I'm a big fan of Z-Lynk. There really is almost no delay in audio output, so you hear the signal when the coil is directly over the target. This hasn't always been the case with wireless metal detectors. It's also great to get rid of audio cords. Being chained to the detector is a common annoyance when detecting - especially when digging plugs - that can now be a thing of the past. To complement this feature, Garrett has included their wireless MS-3 headphones with the MAX. One of the advantages of a professional-standard detector, like the AT MAX, is that you get both manual and automatic ground balance. Adjusting ground balance is essential when hunting areas of high mineralization, soil conductivity or saltwater. By "balancing" to remove these interfering factors, you can maximise depth and cut down on chatter. Keep in mind that while the MAX can hunt saltwater locations, all VLF detectors struggle in these conditions, so your depth will be limited. Automatically ground balancing the MAX is easy. You just need to hold the "SHIFT" button to get the machine to automatically balance depending on the current environment. For more difficult hunting environments, the manual ground balance option is useful. The automatic function usually does a great job though. Additionally, the MAX has 175 ground balance resolution points. This allows for fine tuning depending on soil conductivity and mineralisation. PRO Mode Audio available on all four search modes. Adjustable length (43" - 56"). Tip: Want to learn more about the best metal detectors on the market? Take a look at my list here. Garrett control panels tend to stick to a similar design. After all, if it works, why change it? The result is that the AT MAX feels instantly comfortable to anyone who's hunted with a Garrett metal detector in the past. Most importantly, everything on the AT MAX is clear and easy to view. The target ID numbers are large, while the coin-depth and discrimination settings are always visible. All the buttons are also relatively large and clearly labelled - even when most of them have multiple functions. The LCD screen also has a backlight. This is an essential feature in low-light conditions - but is not included with the AT Pro. Considering the wide range of features included with the Garrett AT MAX, it's priced at the higher end of the VLF market. It's clearly aimed at serious metal detectorists who want more from their machine. With that said, it still provides excellent value for money. It's only a bit more expensive than the AT Pro, yet comes with several extra features. So, if you want a high-quality detector that's suitable for almost any environment, the Garrett AT MAX is a great choice. 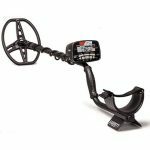 As it's sold by Garrett, one of the most popular metal detector manufacturers in the world, you can find it at most major retailers. These include Walmart and Amazon. If you're buying second hand on eBay or Craigslist, make sure you check the condition and authenticity before you buy. Stats and features are great, but in-field performance is what really matters. Fortunately, the Garrett AT MAX is a brilliant detector. It's fun to use, intuitive and provides excellent performance in a range of environments. The wide range of discrimination options, including Iron Audio, notch discrimination, iron discrimination and a true all-metal model, makes it adept at filtering bad targets. Like all Garrett machines, it's also simple to use - despite the many settings and options. It also has a fast response speed. This is essential for separating multiple targets, and is one of the biggest differences between a premium VLF detector and a budget option. Like the AT PRO, the MAX provides outstanding detection stability. You can run it on surprisingly high sensitivities in many environments, and it retains decent depth even when you need to dial it back. It's also almost always accurate when it comes to target composition. I want to re-iterate that this isn't a gold detector though. Sure, you might find the occasional gold necklace (if you're lucky). But for small nuggets, the MAX's frequency simply isn't high enough. This isn't a criticism though. For jewellery, garlics and coins, it's amongst the best metal detectors available. As the name suggests, the AT Gold is designed for hunting gold. For this reason, it has a higher 18kHz frequency and a smaller stock search coil. In other ways, the two detectors have similar features. Both have 44 iron discrimination segments, a true all-metal mode, Pro Audio and eight sensitivity modes. They also both have Iron Audio and digital target ID. Importantly, the AT Gold doesn't have adjustable notch discrimination. It only allows you to choose from preset options. The Gold also doesn't include Z-Lynk wireless audio, a backlight or volume adjustment. So, if you want to hunt gold, the AT Gold is the better choice. The MAX is the superior detector in almost every other way though. As the AT MAX is the most expensive model in the AT range, you would expect it to include some extra features. It has more iron discrimination segments, wireless audio and a true all-metal mode. It can also search to greater depth and has a threshold adjustment option. There are a few advantages to the AT Pro though. Aside from the cheaper price, it has the option of using a "Standard" audio mode which is simpler for beginners. In contrast, the AT MAX only has the "PRO" audio mode. The AT Pro also has a slightly higher operating frequency, so it may be better for finding small targets (although the MAX does a great job too). Ultimately, the Garrett AT MAX is the better machine, but the Pro is still an excellent option. Whether the MAX is worth the extra money depends on how much you need the added features, but you won't be disappointed with either. One of the AT MAX's closest competitors is the Minelab Equinox 800. It has similar features, including wireless headphones, submersible design and a fast recovery, but there are a few important differences. The biggest is that the Equinox 800 is a true multi-frequency detector. You can choose between 5kHz, 10kHz, 15kHz, 20kHz and 40kHz operating frequencies - and there's also a gold detecting mode. This makes the Equinox 800 a highly versatile detector and probably the better option if you can afford it. It's more expensive than the AT MAX though. Some people recommend that beginners start with a cheaper machine and upgrade when they are ready. There are some advantages to this - cheaper metal detectors often have fewer features and are easier to learn. You also waste less money if you don't enjoy the hobby. With that said, there's also merits to buying a more expensive machine like the AT MAX. The MAX can be used in almost any environment, can hunt to greater depths, and you don't need to worry about upgrading. Yes, it takes more time to learn how to use, but it also provides better results. The AT MAX can certainly pick-up larger gold nuggets. The problem is that gold prospecting usually involves finding tiny nuggets, and for this you'll need a higher frequency detector. If you want a high-end VLF detector for all-terrain hunting, the Garrett AT MAX is an excellent choice. It's tough, durable and designed for serious detectorists, so it comes with a host of useful features not found on cheaper models. Key features include the new wireless audio system, 44-segment iron discrimination, notch discrimination, auto and manual ground balance and a submersible design. I also love the iron audio feature and true all-metal mode. It's also great how Garrett has focused on improving some of the most common complaints about the AT Pro. The AT MAX comes with a built-in volume control, LCD backlight and threshold setting - all of which are missing from the Pro. It can also hunt at greater depths. Are there any drawbacks or problems though? Not many - although the single-frequency MAX can't match the new multi-frequency Minelab Equinox 800 when it comes to target versatility. The Garrett AT MAX is also a relatively expensive VLF metal detector. Even so, the AT MAX is an excellent detector that packs plenty of features into a relatively affordable price. If you want an all-terrain upgrade from a beginner detector, it's a great option.